The transnational “Peaks of the Balkans Trail” leads through one of the most remote and wild mountainous regions of the Western Balkans. By using shepherd paths the trail winds through high alpine mountains up to 2,300 meters above sea level and leads through wild mountain scenery, with a diversity of breathtaking landscapes, varying from green valleys to crystal-clear mountain lakes, waterfalls, rivers and remote picturesque mountain villages, in which time seems to have stopped. All in all a “hidden treasure” for nature lovers and hikers. The Peaks of the Balkans Trail has been awarded the winner for outstanding Destination Stewardship in 2013 prestigious World Travel and Tourism Council´s (WTTC) Tourism for Tomorrow Awards. More information at Peaks of the Balkans website and map can be purchased here. Walking guide of the Divjakë-Karavasta National Park, a Ramsar wetland with the largest lagoon in Albania and one of the largest in Balkans. The area is well known for nesting of the Dalmatian Pelican, its beautiful pine forest and the beach. The guide contains information for 7 walking trails and the facilities in the area. 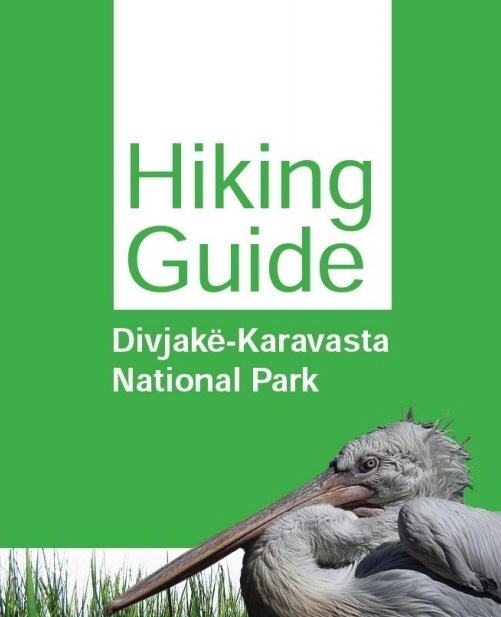 New walking guides for Prespa National Park and Permet area are in the process and will be published soon.